Emma Stone with those cat-eye frames in The Help gave us so many style-goals altogether. The frames not only imparted a nerdy look but accentuated her round face profile. On the same lines and with the same zeal, this stylish Purple Blue Full Rim Cat-eye frame by Vincent Chase is crafted to give you that upswept look of confidence. 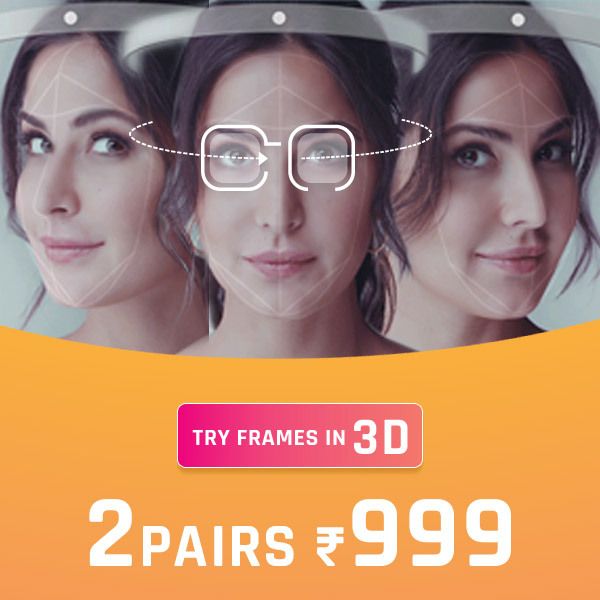 Suitable for people with a round, oval and heart-shaped face-cut; these frames overpower their soft jawlines and fuller faces. The dark accents add depth to its classy frame structure. Its acetate frame material speaks volume of sturdy and durable construction. Additionally, spring hinges impart flexibility to the frame which helps you get a snug fit every time you put these on! Add more drama to your eyes with these Purple Blue Eyeglasses perfect to be paired with every occasion and attire. Go grab them before anyone else does!